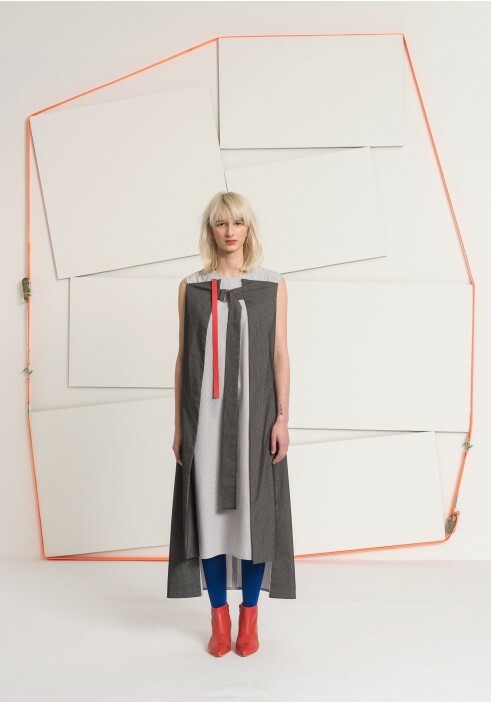 Long length, sleeveless, minimal cut dress made from fine striped cotton material. The sartorial solutions offer several possibilities to the wearer such as the layers and the hidden pockets in the sides. Perfectly reflects the particular world of MEI KAWA.